If you are looking for a way to improve customer service, efficiency and increase leads and sales, then live chat software is for you. Live chat software is one of the best ways to improve communication with your customers. It gives your service offering a fresh, new approach. This live chat software guide will cover all you need to know. From why you need it, to how it works and how to select the best approach for your business. You can find all the information you need in this comprehensive guide. How does live chat software work? What can live chat software do? Who is live chat software for? Ten statistics for why businesses should use live chat software. For any organisation, meeting customer needs is essential. However, with customers always moving the goal posts are you doing enough to meet their needs and deliver excellent customer service? In an increasingly digital world, customers want and expect immediate action. From same-day delivery, overnight shipping, extended opening hours, customers wish for ease and convenience and, above all, they want it now. When it comes to customer service and communication, businesses can often let themselves down. With slow responses and lack of communication methods, customers can feel like they have nowhere to turn. While processes in place may ensure all customers receive a response, there are many businesses where customer responses fall through the net or just aren’t answered quickly enough. Is There A Customer Service Gap In Your Organisation? A study by Bain and Company found that 80% of companies believe they deliver excellent customer service, but only 8% of customers believe they receive excellent service. This shows that many companies think they are better than they really are. One of the critical aspects of customer service is communication, and for many businesses, this is where the customer service gap lies. Companies may believe they are offering excellent customer service by providing a range of communication channels such as email, phone, text or social media. However, simply offering a variety of communication tools to customers is not enough. Quality and tone are also important, but the priority is the speed of responses. Alarmingly, even many of the top performers fall short with their customer communication. A recent survey has shown that 62% of companies do not respond to emails from customers. Furthermore, 90% of companies do not acknowledge receipt of an email from a customer. For companies that do reply to customer queries, the average time it takes is 12 hours and 10 minutes. The high expectations of quick responses that customers anticipate, extends across email, phone and even social media too. In fact, 32% of consumers expect a social media response within 30 minutes and 42% expect a reply within an hour. Furthermore, 57% have the same expectation from response times regardless of whether it is at night, weekend or during business hours. Despite these expectations, the average business response time on social media is ten hours. Evidently showing another customer service failing for many organisations. So, with consumers having such a high demand for speedy responses from customer service teams, how do you make sure that you have the solution customers crave that is easy to implement for your organisation? The answer is in live chat software. Live chat ensures instant responses and real-time conversations with your customers. If you’re looking to enhance the customer experience, improve your bottom line and ensure you stay ahead of your competitors, live chat software is for you. So, just what is a live chat? 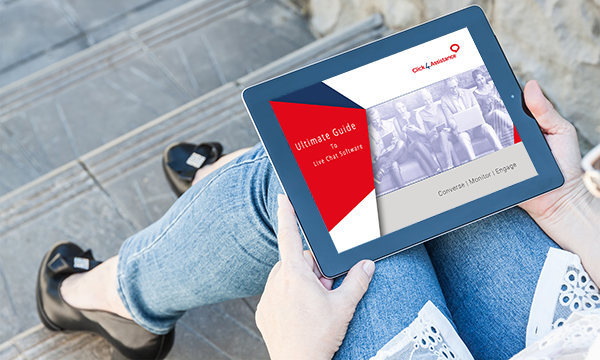 To help you understand what live chat software is and how you can implement it into your organisation, we have created this all-encompassing guide. Read on to discover how you can apply live chat into your organisation, how it works and the benefits it can bring. Live chat is a customer service tool that can be added to your website. It is another method of contact that your customer can choose to use to get in touch with you for advice and support. However, as well as being a vital communication line that enables instant real-time communication, it can also be an invaluable source of knowledge, helping customers with buying decisions, generating new leads and increasing your sales. While live chat software is a term used frequently, it is also known by other terms such as web chat, live help, live support, php live chat, business chat and chat box for website. It has a range of names because it has a variety of functions. While it was once considered a vital communication line for customer support, it is now advanced to help all aspects of the sales cycle. Instead of considering live chat as just another contact method, the chat window goes beyond live chat customer service; it can prompt dialogue with customers, create a friendly and engaging service experience and make prospects feel welcome and valued by your business. For your customer service agents, when customers engage with the live chat window, they will receive a notification of an incoming enquiry. Communication between the consumer and service agent can then take place, giving the business impression you want to portray in a real-time conversation. These real-time conversations are not only easier for your team to respond to (there is no need for a meticulously crafted and elaborate email, nor a requirement to continually ask the customer to repeat themselves when their phone signal fluctuates, and you can’t hear them clearly) but they also shift the dynamic of your organisation. Instead, of having passive customer service representatives, who wait to hear from customers, you have proactive agents who can engage with potential customers and improve the chances of making a sale. Proactive agents can use business chat to prompt a conversation with web visitors, instead of waiting for a customer who may want help with a purchase, but may not feel comfortable asking for help or initiating a conversation. Furthermore, live chat software also gives you a unique window into your website. With some live chat software options, you can see who is on your website. Even if the web visitor doesn’t send you a message, you can still receive a notification of a customer arrival. This sensing technology gives you a distinct competitive advantage as you get to know your customers better. As well as sensing technology, some live chat software systems can be programmed to not only sense a customer but send them an automatic message through the live support portal inviting them to engage with you. The exciting aspect of live chat is that customers do not have to pay that much attention to the website while waiting for your response. They can browse other sites, complete other tasks and their browser will notify them (such as with as sound) when they have a response. Customers do not need to dedicate time to your business, such as remaining on-hold over the phone or composing an email. It is an instant messenger system that is quick, easy and dynamic. The fact that customers can multitask while using your live support function is a significant benefit to consumers. While you may use instant messenger (IM) platforms such as Facebook, Google+ and Skype to communicate with people you know, live chat is a professional version of this. Live chat is a platform for business that you implement and use on your website, which site visitors can contact you on. This allows site visitors to talk to live agents of your choosing. While online help chat and live support can sense visitors on your site while they remain semi-anonymous, IM is typically used for your social network. Put simply; live chat software is an embedded button or chat box on your website. Website visitors can click on the button and proceed to type a message to your customer service agents who have been designated to read and answer the messages. When a consumer visits your website, a button image will appear on the web pages that you want live chat support to appear. You can add the graphic on all or some of your pages. Typically, businesses will add this function to their homepage and contact page. 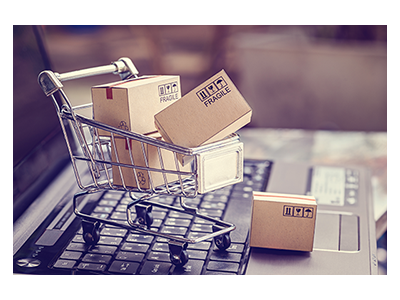 For e-commerce businesses, having the live support button on product pages can help to engage customers as they make a purchase decision which can help to secure a sale. The image your visitors will see can be customised to suit your branding requirements and your website design. Depending on the availability of your customer service agents, you can have the chat button to display when you are online and have agents ready to respond. You can also show when you are offline and invite customers to leave a message. 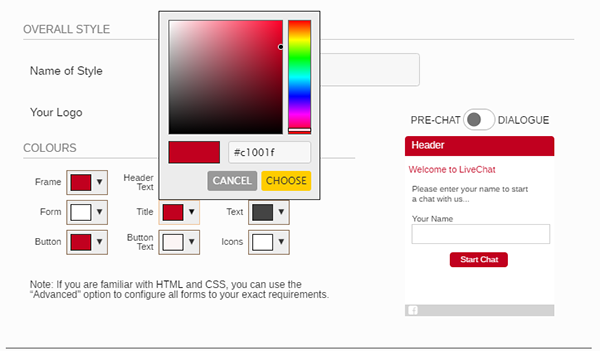 Whether online or offline, visitors can click on the live chat button and open a chat box. If you are offline, this will typically open as a contact form that can include a message that agents will see when they are next online. If your service operators are online, the visitor will either see a pre-chat questionnaire, where you can gather more details to help the chat, or they will see a chat window where they can start speaking directly to an agent. For visitors, they do not need to download a messenger download or plugin. There is no special software the visitor needs, and they do not need to sign up for an account, it is just part of your website. The customer service chat window will then open, and you can typically brand the box to suit your organisation and to match your website theme. You can personalise the chat window, by showing agents information such as a name and photo. Having real photographs of your agents can help to instil confidence in customers as they can take comfort that they are speaking to a genuine business with real customer service agents rather than a faceless company. To start helping customers through live business chat, agents will need to click on the software icon and log in to the system. Agents can then show their availability and start to monitor visitors. Depending on the software, the program may display website tracking information. With this, your agents can then filter this information and see the necessary data that of your website visitors that your business is focusing on. For example, this could be the number of times the same customer has visited a particular webpage. A notification will appear when a customer is waiting for an agent, and the customer service operator can then take responsibility for the chat. As agents can work on multiple conversations at the same time, each chat will appear in a separate window to avoid confusion. For both the visitor and the agent, there is a typing indicator, so that both parties know when the message has been read and that they will receive a response. This notification can help to stop an overload of information that can happen through a chat window when both parties send messages at the same time. While chat integration will vary depending on which live chat software provider you choose, it is usually relatively simple. Once signed up for trial the provider will send you a code that you can include in your website template. Your business will then need to download the software and then log in to the software using the account data that the provider will give you. For security, the software provider will usually recommend that agents regularly change their passwords. Some software providers may have specific password requirements to bolster the security of the platform. While live chat software enables you to speak in real-time to your customers and prospects via a website chat box, many live chat software products offer a range of innovative and useful features to provide a significant return on investment and ensure you optimise chat engagement. While different live chat software providers will offer various features, here are just some of the most common features you can expect to find with live chat support software. At the end of a chat conversation with customers, you can ask customers to provide feedback on the support they received and the agent that they spoke to. You can make this feedback as detailed as you like. Some organisations may choose to do a simple star rating system at the end; others may prefer a more in-depth survey. It is essential to bear in mind that most customers will use live chat software for convenience and speed, so customers may not have the time and patience respond to surveys with a high number of questions. Usually, a rating and a question on what they liked and what could have been improved will suffice. Don’t wait for customers to come to you, show your business cares with a proactive chat feature. This tool can come complete with a custom message and image to suit your business. It can work wonders in prompting conversation while also showing your customers you’re available if they need help. While proactive web chat can be a powerful tool, it is important to remember that some customers prefer to self-serve. Bombarding customers with proactive messages may mean they will close your website page down entirely. This feature can provide you with a dashboard of agents who are currently chatting; this can help you to plan ahead, add extra resources and ensure all of your agents are working productively and effectively. You may be able to spot disparities and areas to improve to increase efficiency for conversations. This real-time feature can also help you to shift the focus for your agents. If several agents are free, it may be time to increase your business focus on proactive invites and prompting customers to receive help with their buying decisions. Understand your web visitors and customers better by analysing visitor tracking on your website. Live chat software can provide comprehensive tracking that will give you a detailed insight into your customer’s habits. You can measure the length of chats, receive transcript reports and check agent’s activity. Furthermore, you can also check conversion rates to see whether your agents removed buyer objections and helped to make a sale with their advice and support. Depending on the size of your organisation, you may choose to have full-time agents or use existing members of staff to cover customer support. For both small and large customer service teams, having a routing service can be a timesaver. A pre-chat survey can help to route the customer to the agent who has the most knowledge or experience in the sector to help. Routing can also help to distribute the work more evenly, meaning if one agent is swamped, chats can be routed to the next available agent who can support with their query. Some live chat software providers have smart triggers that can be customised to suit your needs. The smart sensors can be used to trigger an event, such as opening a proactive conversation with a repeat website visitor. It can even be used to prompt agents into engaging with a customer who is comparing one product against another. Depending on your business objectives and metrics for live chat software you can customise the smart sensors, making sure your live chat is working harder for you. Continually improve your live chat offering by monitoring your customer service operators. With operative monitoring and reporting, you can identify your top performers as well as seek out your underperformers. This can help to determine training requirements and work out how you can improve your customer service team. 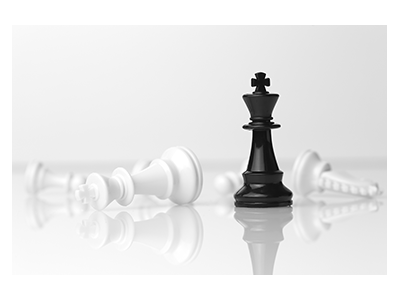 Agent monitoring can also help you to create a buddy system for training new operators as well as seek out the tactics that are making your top performers operate so effectively. Google claims that over 50% of search queries are on mobile devices. This means a high percentage of your web users are accessing your website through a phone or tablet. While this is a strong case to ensure your website is mobile responsive, it is vital that your live chat software is also optimised for mobile devices. What’s more, live web chat can also ensure that your site offers the help your customers need, whatever device they are using. Some live chat software will allow you to save common phrases that your agents use time and time again to reduce the number of keystrokes and save your live chat operators valuable time. The responses can just be snippets of texts that agents can use and personalise for each customer, but ensure they stay on brand with chosen phrases. While live chat will reduce wait times considerably compared to other lines of communication, customers still like to be kept informed. Live chat software may be able to give visitors an approximation of how long they will have to wait until an agent is free. This can be particularly useful is your brand receives a high volume of messages and queuing is used. Waiting indefinitely can cause dissatisfaction with customers to the point that they give up on the live chat and may choose a competing service. However, letting customers know how long they will have to wait can allow customers to attend to other tasks and check back at a closer time. While no customer likes to wait, keeping them in the loop can help to reduce the risk of a loss of a sale. Advanced web chat software such as Click4Assistance can offer a wide range of analytics to ensure you get the most out of your live chat software. Analytics can cover a variety of data inputs such as the number of chats, operator activity, time in conversations, visitor details, conversions, repeat visitors and frequent queries. 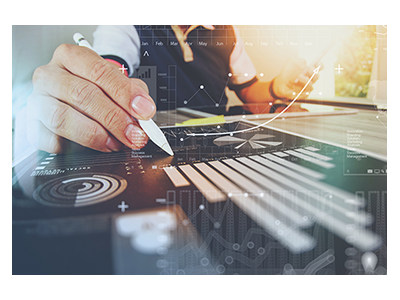 All of the analytics can help you with key company metrics and determine which strategies to focus on for the future. If a customer tries to reach you out of your set office hours, then an online form can capture the information you need to help 24-hours a day. This system uses a ticketing format for when your agents are ‘offline’ and will be emailed to agents for their response when they are next available. Some offline forms will have time slots so that customers can reserve a next available or most convenient time when your operator is available for a response. This system can make up for being unavailable by providing customers with dedicated time at their choosing. Much like an attachment on an email, customers and agents can send additional information through a file transfer system. This can be incredibly convenient for customers and well as agents who want to show visual instructions to aid a resolution. Live chat software can have specific controls on the type and size of the file to manage any data restrictions. As well as support clients with text-based chat support, you can also have video and voice capabilities that allow customers to see and speak to agents. This not only provides credibility for your business and creates a sense of a professional business, but it can also help with problems your customers face but may have difficulty describing. Often visuals can help to aid understanding for both the agent and the customer. Video and voice function can be particularly beneficial for businesses who operate solely online. Customers may not trust businesses they have not heard of or seen physical premises for. Seeing and speaking to employees of the company helps to build trust and customers can assess your reliability. Co-browsing can help customers to navigate through challenging aspects of a product or service, such as form filling or self-repairing an online issue. With both the agent and the customer looking at the same screen together means all confusion is removed and both can see the problem in real-time, meaning the agent can diagnose and help with ease. As well as co-browsing, live chat software may also offer screen-sharing, which gives one user the command over the other person's screen. This can be particularly useful for IT service companies, who can solve computer and technology related issues remotely. Some software will provide automatic translation to allow you to speak multilingually to customers across the globe. If you do use translation services, it may be worthwhile to have a guide for writing for translation and ensure that agents do not use idioms or phrases that are not easily translated. Other language tools can include spelling and grammar checkers to make sure you always send grammatically correct, well-punctuated messages to your customers. If an agent believes another representative may be best-placed to help with a particular customer enquiry, chat transfers will allow operators to seamlessly transfer the conversation to another agent who can assist in the matter. Chat transfers can be particularly useful if the customer has experience speaking to a particular representative regarding the same issue as this prevents the customer from having to repeat themselves. Customisation of the graphics and the chat box can be incredibly useful in making the chat feature a seamless addition to your website. Click4Assitance will work with your business to create a completely customised chat feature that blends into your current website design and matches your business branding requirements to the letter. For live chat software to be effective, it is ideal for companies which have at least one operator who is available for a large part of the working day. If there is no one available to answer queries a live chat feature may become a frustration for customers and it may be better to remove that conversation channel entirely. 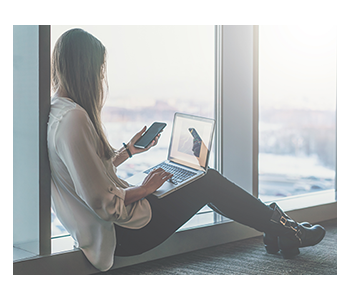 If customers see that your live chat is frequently offline, they may have concerns about the credibility of the business and whether you run a professional organisation. Live chat software is ideal for business who want to increase their conversion rate. The reporting and analytics that live chat software can bring can help you to harness your web strategy and make sure you are increasing sales and converting prospects into customers. If live chat is a function that your competition isn’t yet offering, you can use this for a business advantage and ensure you are a step ahead of the market. Consumers are often willing to pay more for a better level of service, so even if you’re not the cheapest on the market, the fact you offer a service your competitors don’t currently have could improve your sales. Live chat software offers companies a real-time view of their website, visitors and customers. If you want real-time data of your website activity, live chat software can help. This can help you to better understand customers which can deliver long-term profitability and business improvements. Live chat software allows you to make the first move in supporting your customers and trying to ensure you make every sales and conversion possible. If you have the time and attention to dedicate to being available for website visitors when they are on your product pages and considering a purchase, then live chat software can help you to convert browsers into customers. For e-commerce businesses and organisations that sell products and services online, live chat software is the equivalent of your sales assistant in-store. Armed with sufficient product knowledge, your agents become product advisors, helping customers with their buying decisions, recommending additional purchases and ensuring they have the best product to suit their needs. This not only helps to increase sales but also reduces the number of returns too. Organisations that have highly-technical products or services need to ensure their customer service skills are up to scratch. While all businesses do need to offer a high level of customer support, they are many organisations that receive an influx of queries on a daily basis. Companies that need to provide frequent and consistent customer support, live chat software can help to make your support mechanisms and agents more productive, solving multiple queries in a short amount of time. What Are The Benefits Of Live Chat Software For Customers? When customers reach out using a live chat function, they know that they have the attention of a single agent. 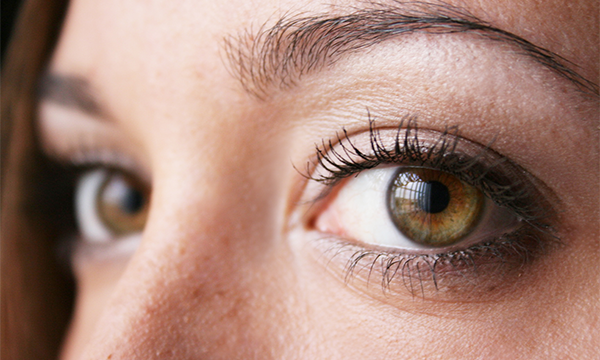 This personal attention is usually received sooner than a speed of a phone call. 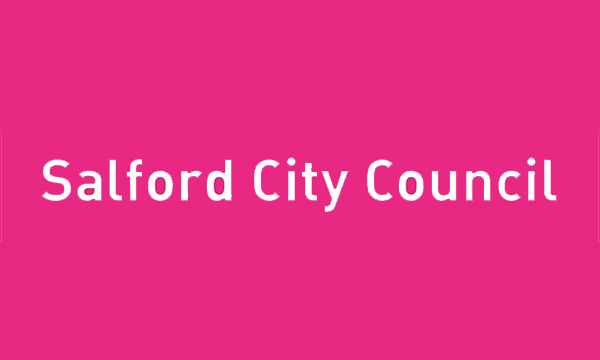 Furthermore, it is access to help and support without wasting time on hold or paying an expensive phone rate. The beauty of live chat is that clients can wait for and receive help and continue to complete other tasks. With live chat software, a notification will sound, or a pop-up box may appear when the client receives a new message, much like any other instant messenger service. Clients can enjoy the convenience of web browsing, getting back to work and completing other tasks while a customer service agent solves their request. Consumers can save an invaluable amount of time by using live chat software instead of other methods of communication. 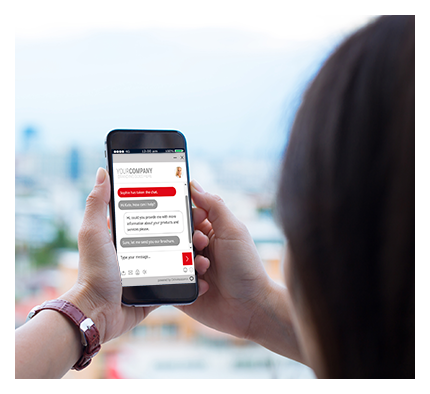 With instant responses, customers no longer have to wait for emails or listen to seemingly endless on hold music through the phone. Instead, live chat software is a quick way to tick a task off of a list of things to do. Live chat messages are typically short, simple and easy to understand. Many live chat agents will walk a customer through the steps of a resolution making it as easy as possible for the customers. Typically, chat agents will not use complex jargon and may even be able to visually guide the customer through the process to make it even easier. When contact customer support using a phone, customers will often have to navigate themselves to speak to the right person. Live chat software takes the stress away and provides an instant connection to an agent who is available to help. Businesses who use a pre-chat questionnaire can help to identify the right chat agent to suit the customer’s concern based on a category they select from. While emails may go back and forth until the appropriate resolution can be given, live chat offers a quick response thanks to the real-time communication. In just a few minutes, a significant proportion of problems can be solved making it one of the most effective ways to get the answer the customer is looking for. Live chat is incredibly useful for customers when it comes to making purchases. Live chat enables customers to ask any questions they may have about a product or service, convincing them that they have made the right choice. Alternatively, if the product does not meet the customer requirements, chat agents can offer other solutions on the website that the customer may not have seen. Emails can take time to compose, and phone lines can be expensive for customers, especially if there are long waiting time. Live chat enables customers to receive the answers they need at a low cost. All they need is a browser-enabled device and internet connection. Live chat does not charge your customer for use. All customers like to feel valued by brands, and live chat software can be critical in building long-term client relationships. Live chat can support customers throughout the entire sales cycle, from answering questions as a prospect to recommending products during buying to following up with customer support after purchase. Customers can enjoy a higher level of service by having an agent on hand to answer questions, provide recommendations, delivering further detail and offering solutions to any queries. Live chat can often offer a friendlier and welcoming website that gives your customers an improved user experience. What Are The Benefits Of Live Chat Software For Businesses? For businesses with customers across the world, it is not always easy or cost-effective to provide adequate phone support. However, with translation tools available, live chat can help agents to speak to customers all over the world. Furthermore, personalising the chat for global customers such as through changing the language and currency in the conversation can provide an enhanced customer service experience. Live chat has the capabilities to solve many problems. For example, live chat can have canned responses, links to videos and web pages and interactive elements that phone support simply can’t provide and via email would take too long. Live chat can guide customers through a resolution step by step and with the visual prompts that you cannot achieve in other communication formats. Live chat doesn’t just offer customer support; it can be a vital sales tool that agents can use to upsell as well as encouraging add-ons, related products and cross-selling. Some live chat software even enables customers to make the purchase directly in the chat box, which can help to increase sales. Live chat software has a range of functions such as surveying, market research as well as supporting customers through the whole of the buyer’s journey and sales cycle. With a live chat box available throughout the purchase, customers can receive quick answers to concerns they have about the purchase. Having agents on hand during this crucial stage can help to remove buying objects and increase sales. With product knowledge or an effective knowledge base, agents can see the product the customer is considering and tailor their proactive approach to give the customer a nudge. Agents can explain more benefits of the product or simply ask if they have any questions relating to the product in question. Effective live chat agents for sales can help to increase order value by recommending additional products or other similar items the customer may not have looked at. By assessing the customer’s needs, agents have a fantastic insight into what the customer is looking for and find the best products or service to suit their needs. Virgin Airlines are a notable company that has deployed this tactic through their live chat software. With this upselling approach, Virgin Airlines receive a 15% increase in average order value. Furthermore, the tactic results in 3.5 times as many conversions. A benefit that live chat offers is that customer service agents can handle multiple enquiries at the same time, unlike with phone support. By helping multiple clients at the same time, this increases productivity per agent which lowers your cost for support staff. Furthermore, live chat software can also reduce the costs of phone line charges and necessary hardware. A study by Forrester has shown that 57% of consumers will abandon their online shopping cart if they can’t receive the help they need straight away. With live chat, your agents can offer customers the instant help they need to make a purchase. With this in mind, live chat software becomes invaluable to e-commerce businesses and can dramatically increase sales while reducing cart abandonment. It can happen to the best brands and the best websites, but sometimes there is an area of frustration for customers where brands just don’t hit the mark. Live chat can help businesses to find the pain points and come up with an effective solution to address customer needs. Live chat can immediately address pain points by offering an immediate answer, while also looking for long-term solutions that ensure the same issue doesn’t arise for other customers. Live chat offers an invaluable insight into what your customers are looking for and what their biggest concerns are. By keeping a record of customer communication, you can conduct in-depth analytics that reviews the most common words, phrases and questions. With this customer knowledge, you can work out the themes for content that you can produce to help your clients. Furthermore, you have optimised words of what your customers are looking for which you can seamlessly slot into product descriptions and add to key features. This helps customers to find what the answers they are looking for on a self-serve basis, it also reduces the requirement of offering support, allowing your agents to be proactive in selling and increasing revenue. While other competitors may offer live chat, you can still have a distinct competitive advantage with how you use live chat to support your customers. It is worth testing the market to see what your competitors are doing and then conducting market research to find out what your typical customers want from the live chat. Many businesses do not offer a proactive live chat which may be the ideal place to start for your competitive advantage. According to research, offering live chat as a business communication channel provides the highest levels of customer satisfaction. Gratification for live chat comes in at 73% while communication over the phone has a satisfaction of just 44%. Another survey found that 92% of customers feel satisfied when using live chat beating all other communication forms including social media and voice. By improving customer satisfaction with your brand, your organisation can enjoy increased sales, repeat custom and enhanced brand awareness as customers become brand ambassadors and recommend your products and services to others. Live chat software can benefit businesses of all sizes. Many will use their current staff to handle live chat queries. However, for organisations who receive frequent customer support queries, a dedicated team of agents may be more suitable. The crucial aspect of live chat is to deliver excellent customer service. Whether you are using specific agents or using current team members to answer live chat alongside there other duties, it is important that the team you use has the appropriate skills. While this may seem unusual for a text-based support channel, agents must be able to utilise listening skills to assess what the customer is saying (or typing). When agents engage their listening skills, customers will feel that their problem is being heard. Furthermore, understanding the true customer query by taking the time to listen and participate fully will help agents to give the appropriate resolution the first time around. As well as this, customers like to feel that their problem and the inconvenience it has caused is understood as well as getting an appropriate answer that helps them in the future. Having sufficient knowledge of the business as well as the products and services on offer is essential for an effective live chat. Many businesses choose to outsource their live chat service. However, without appropriate business knowledge, customer service can fall short. Furthermore, if you plan to use live chat to improve sales with upselling and cross-buying, then the chat operators need to know which products are suitable to recommend. Whenever your business launches a new product or service, training should be administered to chat operatives, so they are fully aware of the products. A knowledge base can be extremely beneficial in giving internal and external agents the critical product and service information they need to solve the query straightaway without requiring further assistance. Businesses should regularly conduct checks or mystery shopper visits to ensure agents have sufficient product knowledge to help improve sales and ultimately, the bottom line of the business. 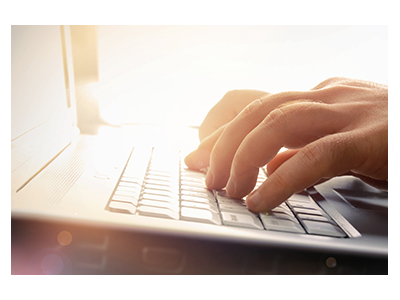 Live chat agents will need to have to appropriate writing skills to carry a professional tone in their messages. Chat operators should know how to use proper language in their conversations, without using abbreviations or ‘text speak’. While you can often check spelling and grammar through live chat software, it is beneficial for these to be skills your agents already possess. As well as having writing skills, it is also wise for agents to be able to have the ability to mix canned messages with their own original content. This not only helps agents with their productivity, but it still maintains a personalised customer experience. It is important that your live chat agents receive full training of any live chat software you implement. Often software providers will deliver their own training for the software upon purchase. However, it may also be wise to conduct routine refresher training and regular updates for new starters. 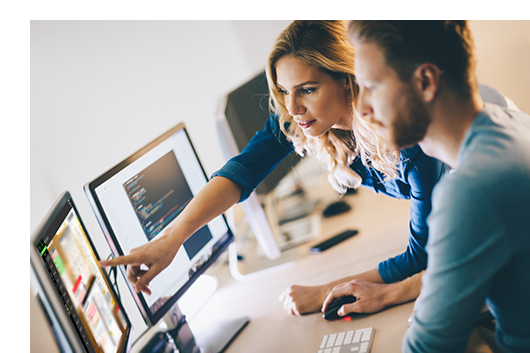 Understanding all of the tools the software provides is essential in making the most out of the solution and ensure that is works as hard as possible for your business. When agents focus on one particular aspect of the software, they may forget all of the other functions that are available to them. It is worthwhile checking with the software provider as to what training they offer and whether a training package can be developed. Some may even provide e-learning courses that can help to bring new starters up to speed with ease. Alternatively, you may be able to create this training in-house to better suit your business needs. For many businesses, starting to communicate with clients in this new format takes time to get used to. For live chat agents, there needs to be a protocol to follow. Your organisation must ensure there are resources and training available to help your agents deliver a high standard of service that you expect from your organisation. To help you get started, here are some of the best tips to follow to ensure effective communication as well as happier agents and customers. Starting conversations on the right foot is essential. After all, you only have one chance to make the right first impression. A friendly welcome will be warm and inviting. The greeting should tempt your customers to engage as well as ensure you have set up an environment where they feel comfortable to talk about an issue they face or question they have. Your customers don’t want to be just another number for your organisation. They want to be treated like the individual that they are. Fortunately, your live chat is the perfect place to implement personalisation. A crucial part of customisation is to gather the respondent’s name. Clients will often be much more receptive if you take the time to address them as an individual. As an organisation, you may choose to initiate all live chats with a pre-chat survey to establish their name and receive an email address so you can also email your chat experience for their future reference. However, this method typically works best for live chat support and will not work if you are trying to be proactive with customer engagement and encourage them to initiate a chat. You can also ask for a name within your opening greeting. By having a name, you can make the whole experience much more meaningful. Similarly, you should also introduce yourself as well, as it makes the chat much more open, inviting and friendly. Many customers are thankful to be speaking to a real person, rather than a chatbot. Show your customers that you're grateful they have taken the time to visit your website. Customers love to feel appreciated. It is wise to include a ‘thanks for taking the time to visit our website’ comment which can be easily slotted in any conversation with your customer and will help to build up a rapport and most importantly, will make the customer feel like they matter to you. The whole point of live chat is to receive an instant response and to satisfy customers who have little time. With this in mind, you have to strike a careful balance of being friendly and receptive, but also getting to the heart of the matter to solve the issue at hand. Whether you are helping a customer with a sale or solving a query, it is often best to let your customer do the talking. This way, it will feel much more like a conversation than a robotic scripted experience of giving yes and no answers. Furthermore, you will also gather more detail which can help you to give better advice. Try to make sure you have a list of questions at hand that are open-ended to invoke conversation and detail for the benefit of the agent and the customer. Once you have enough information to assist, and the customer has said what they want to, make sure to give a response that satisfies their questions quickly. In live chat support, speed and efficiency are critical. If the customer has an issue, you want to show you not only care but understand their frustration. Ideally, your agents should show respect for the problem the customer faces, and then the agent should show that they are committed to finding a solution. Going straight to the resolution may be efficient, but it cuts the conversation short and doesn’t display compassion and understanding. Sometimes acknowledging customers emotions is just as important to the customer as solving the problem they have. A key part of live chat support is to be relatable, understanding and sympathetic. Don’t overload customers with too much information. Even just a few paragraphs will feel like an essay on live chat software. Instead, bite-size chunks of information are much more effective. Once you understand the customer’s requirements, you should then send them straight to the point answers that consists of two or three sentences. The vocabulary you use should be simple and easy to understand, the customer may not have in-depth knowledge of the business. One of the easiest ways to convey information clearly to customers is by offering resolutions in a step by step guide. This reinforces the need to keep sentences short and simple. Furthermore, it also helps the agent to proofread the message for accuracy and grammar, something that is much harder to do with long messages and multiple paragraphs. If your organisation often faces the same queries, then it can save time to have a catalogue of responses available so that agents do not have to type out long repetitive replies. Within, this catalogue it is worth having the links to key web pages that can help your customer. However, it is still important to ensure the customer experience doesn’t fall short. You can still have a catalogue of replies available, but agents should learn how to split these messages into bite-sized chunks and personalise them to enhance the customer experience and ensure the customer knows they are talking to a person and not receiving an automated response. Customers who use live chat software are looking for a speedy response. In fact, research has found that 64% of consumers will expect to wait less that one minute to speak to an agent. So firstly, it is important your organisation has the capacity to do this. Once agents are in a chat with a customer, prompt responses are critical. Understandably, agents may need to check with a colleague to provide the client with the best answer. However, ideally, customers should not be waiting on web chat for longer than a minute or two. If it is taking longer than a minute to receive the help required, agents should keep the customer informed of what is happening. In cases like these, customers appreciate honesty. It is also possible that live chat agents will have to handle multiple chats at the same time. While it is important to be prompt, agents should not leave a message unfinished to respond to a new client. Similarly, a customer should not have to go several minutes without an update. Agents should check in on all customers regularly, even if it’s just to let them know that they are still working on the case. If too many chats make it difficult to check in on all customers regularly, your organisation may want to impose a limit on the number of chats per agent and ensure there are enough people to support live chat. There are also innovative workload tools available with Click4Assistance live chat software which distributes chat windows to agents accordingly. Furthermore, Click4Assistance can distribute queries to appropriate agents depending on their nature, thanks to a pre-chat survey. Unlike instant messaging, live chat is a professional forum and should be treated as such. However, organisations will have different business tones, and this should be reflected by agents using live chat. While all businesses should check for grammar, typos and spelling. It is also worthwhile creating a communication guide so that agents know how they should address customers. For example, some organisations will show a more informal side with their use of emojis, while other organisations may prefer a more professional tone. Whatever is right for your business, make sure this is reflected in your live chat. A good habit for agents is to take a moment before pressing enter to send the message. Agents should read their message, checking for any mistakes but also to verify that the tone and response are in keeping with company guidelines. Many live chat software products enable agents to see previous chat history with customers. This can be a vital tool in learning how to better serve the customer. Where possible, agents should review chat history with the customer; this will prepare the agent, avoid repetitive questions and means you can discuss the best resolution methods without wasting any time. By reviewing chat history, customers will also know that their feedback was valuable and that you have taken the time to understand the problems the client faces if this is a reoccurring issue. There is nothing more disappointing to customers that when a company does not deliver on a promise. If agents need to seek senior approval to suggest customer offers, discounts and incentives, then it is vital that agents only mention these items when they have authorisation. Secondly, if agents offer these incentives, they need to work for the customer. For example, ensuring a discount code is still valid. Chat agents are responsible for the reputation of the business, so the information agents share must be factual, correct and information that can be shared. It is crucial that agents work as brand ambassadors and should only reflect the business in the best light, by fulfilling their commitments. If an issue requires further research and your agent promises to email the customer with the findings, then this should be upheld. 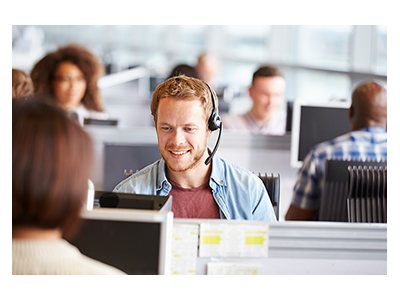 Sometimes a helpdesk ticketing system can benefit agents who speak to lots of customers during the day. This way they have a clear reminder of tasks that still need to be actioned and customers still waiting for a response. 11. Are Customers Fully Satisfied? With all customer services, you should make sure that your customer is fully satisfied. Agents should not end the chat once they deliver a resolution. Customers may have other queries or questions they would like an answer to. Once the customer is satisfied with the resolution they have received, agents should always ask if there is anything else they can help with. Your customers do not want to feel like you don’t have time for them. Instead, they should feel valued by your business. A simple question at the end of the resolution can help to determine their satisfaction levels so your agents can do as much as they can to impress customers and solve as many problems as possible. As with all aspects of customer service, you will want to continually improve your live chat experience. Live chat software products can devise a short survey for customers to complete at the end of their live chat experience. Agents should let customers know how important their feedback is to the organisation, as they let them know there is an optional survey at the end. 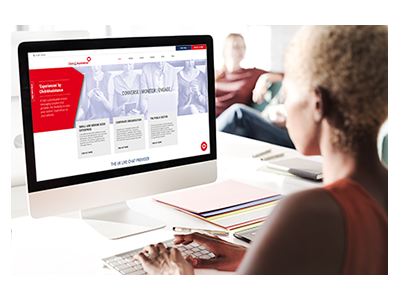 The feedback you receive will be invaluable in improving your live chat service and ensuring you have a team of top-performing service agents that do your business proud. Customer expectations are always shifting, so keeping track of your performance is the key to keep improving as well as meeting and exceeding expectations. Implementing a new tool or software for your business, especially one that could impact service delivery for your customers needs to be thoroughly considered. Firstly, businesses must determine their need for web chat software. With this, it is vital to assess not only the requirements of the customers but the capacity of your business. Is Live Chat Software Right For Your Business? To find out whether live chat software is right for your business, there are some fundamental questions you can ask of your business to determine the requirement of live chat and the functions you are looking for live chat software to perform. Lessen the number of dropouts at pain points in the sales journey? Deliver a return on investment? If you have answered yes to any of these questions, then it is likely that live chat software will benefit your organisation and your customers. What Live Chat Software Features Does Your Business Need? To ensure a return on investment, your business will need to implement metrics to determine whether live chat software is helping your organisation to meet its business objectives. If you are implementing live chat software to achieve a specific goal, then you will need to have the right metrics in place to measure its success and discover the areas of improvements. Once you have determined the fundamentals of your live chat software strategy, it is time to find the right software provider for your needs. With many web chat software providers on the market and a variety of different business needs, it is essential to find a provider that suits your business, can meet all of the requirements you are looking for and will be a reliable partner for your business. Having a rough live chat strategy in place is invaluable for finding the best live chat software provider for your business. This way you can filter out the providers that do not meet your needs. While different providers will offer various benefits, here are some of the most common themes and questions that businesses should ask of prospective providers, to ensure they are the best live chat provider for your organisation. Whether you have an urgent requirement for the software or are looking for a provider that can work to your timescales, it is worthwhile asking how long providers will take to implement live chat for your business. Many providers will have an implementation strategy or roadmap so that you can understand the timeline. Some software can be provided almost instantly, however, for complete customisation, this is likely to take longer. All successful live chat agents need appropriate training and web chat training material to fully understand the software that they are using. Furthermore, the senior staff who are monitoring the performance of the live chat will need to know how the reporting and analytic tools work. Many providers will offer training for their software. Some may include training as part of the initial cost, others may charge for training. It is worthwhile asking providers what training and web chat training material they have on offer and the associated costs. Remember to consider refresher and new starter training as well. If something goes wrong with your live chat software, then it could drastically impact your customer support and customer satisfaction ratings. With this in mind, it is essential that your provider can offer adequate support if you need it. For large corporations, having a dedicated account manager is considered an essential requirement to ensure they have someone to speak to for any issues or changes they would like to make. For small businesses, a dedicated account manager may be less of a priority. That said, some may consider it a benefit when choosing a provider. Each live chat provider will have their own unique selling point which makes them stand out against their competitors. It is a good question to ask of your potential providers as you will find out what you can receive that is not available elsewhere. It is now crucial for businesses who have customers in the EU to comply with the General Data Protection Regulation (GDPR). With a risk of a fine as much as €20 million or 4% of your global annual turnover, whichever is greater, it is essential that all aspects of the business follow data protection laws. 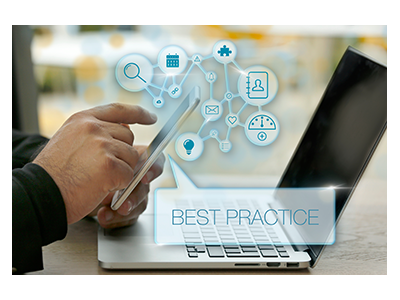 With this in mind, it is essential to know the necessary security precautions that chat software providers put in place to help your business to comply with GDPR. You may choose to ask about their level of encryption on messages and the record-keeping process on their software to make sure it complies with your current data policy. To maximise the customer experience, you want to ensure your live chat software has as little downtime as possible. It is worthwhile asking providers on how often downtime occurs. Usually, they will have statistics on the number of outages or frequency and duration of downtime for a specific period. This can give you a good indication of how reliable your provider will be. Depending on the metrics you want to measure for your live chat, you will need to ensure you receive the appropriate information from its reporting tool. Telling your provider of the objective of your live chat implementation will help the provider to craft the right reporting structure for you and ensure you have access to the data you need. 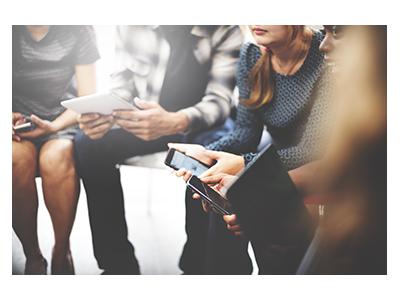 As well as reporting capabilities, you may also want to ask about pre-chat questionnaires and survey capabilities that can help you to gather data and ensure continuous improvement. From spellcheck to canned message archives, you want to make live chat as easy as possible for your agents. Asking about the various language features that software can provide will help you to determine the best one for your needs. You may also want to look for software that stores and analyses transcripts and has shortcut functions to speed up assistance and make your agents more productive. For any feature you add on your website, you want to make sure it is seamless to your current branding and design. This not only helps with the overall display of your website but makes the chat feel part of your business, rather than an independent channel. Customers will prefer to have the impression that they are speaking to an internal team member rather than an outsourced support centre. As you change designs, you may want to ensure the chat box and button are easily customisable by your own in-house team or whether the provider offers this as a service. For a free data flow, you may want your live chat software to integrate seamlessly with other third-party software. This may be essential for businesses who like to have all data held in a content management system or a customer relationship management program. If chat integration is critical to your business, it is important to ask providers about their software capabilities. Finally, knowing the price and value, you will receive is essential for your business budget. For live chat costs, the cheapest option is not always going to be the best choice. For a higher price tag, you may receive more useful features or have a higher level of support. Low-budget providers may regularly have downtime, and their product may not be as robust as the more expensive software on the market. It is wise to conduct a quick price comparison to determine what you will receive for your money. Click4Assistance has been providing businesses with high-quality instant messaging software for over ten years. 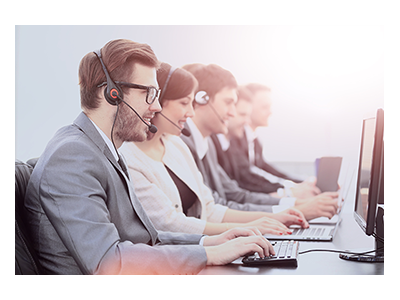 With many years of experience and a wealth of expertise, Click4Assistance can ensure that your business can enjoy a successful implementation of live chat software and the benefits that come with it. Click4Assistance is a UK-based company, with designers, developers, account managers and support teams all working in the UK at the Click4Assistance offices. With a dedicated account manager and UK-based support, you can be sure to have direct access to the team whenever you need us. To begin with, Click4Assistance offer a free trial and demonstration. 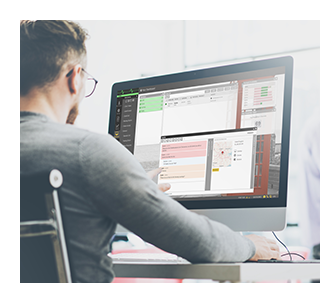 With this free trial, you can see how the software works and understand more about how you can customise live chats to suit your business needs. If the trial convinces you of our quality and you decide you want to work with Click4Assistance you will be provided with an assigned account manager. The account manager will have regular contact and will work hard to truly understand your needs and requirements. Click4Assistance creates a powerful customer communication tool that will enhance your website, conversions, sales and customer experience. If the services of our design team are required they will develop the perfect tool while you have complete control over its look, theme and visitor interface to ensure your live chat tool is fully on-brand. Our experienced experts will work with you to make sure you’re entirely happy and will make any tweaks and adjustments necessary to make sure it meets your exacting standards. 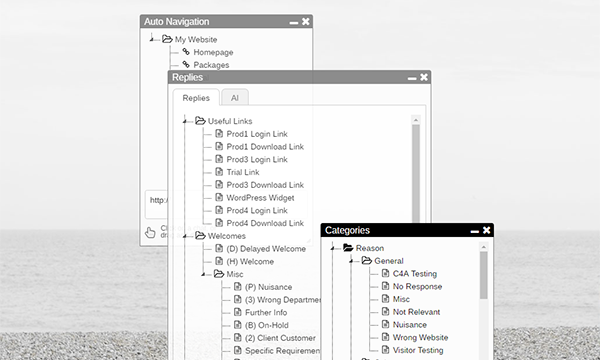 Once you are happy with the design, look and feel of your chat window, your Click4Assistance account manager will explain the features you can enjoy with the software. You can discuss your routing requirements and try out the intelligent chat distribution system that Click4Assistance offers. Furthermore, you can enable queuing and wait time functions to suit your business needs. In fact, once you have our software, you can integrate your set up with a range of other customer service functions such as smartContact, Click2Call and Video Chat, all of which can help you to improve the customer experience. As a leading provider of live chat software and over ten years in the industry, we have the knowledge and expertise to provide you with an exceptional and reliable customer service tool. Direct access to an account manager and a full UK support team. With five-star feedback on Trustpilot and a wealth of happy customers, Click4Assistance can help your business to improve profitability, customer satisfaction, sales and productivity with innovative and cost-effective live chat software, ideal for organisations of all sizes. To ensure a successful implementation and positive customer experience, these top tips can help your live chat software to succeed. Place chat boxes in unusual places, such as on 404 pages. If a customer is looking for a page that has moved or has been deleted, your live chat agent can then help the customer to navigate to the page they were looking for. This can potentially prevent a lost sale, especially if you place a hotspot on deleted pages, to allow your agents to provide proactive assistance. It will be frustrating for both customers and colleagues if operatives act as a go-between for the customer and the subject matter expert. A knowledge base can ensure your chat operators have the knowledge they need to solve a query straightaway and reduce the number of instances where they need to ask for support, wasting customer time. So often, companies see web chat as another support burden that detracts from value-adding activities. However, businesses should see live chat as an opportunity. Every live question or query on live support can lead to a sale. If nothing else, then conversations with customers can provide an insight into pain points and customer requirements, helping you to refine your products for the future. Proactive invites can be incredibly beneficial in making a sale, but too many can feel overbearing to customers who want to self-serve. Consider the number of page visits that will activate an automatic invitation to capitalise on sales without annoying the self-serve browser. 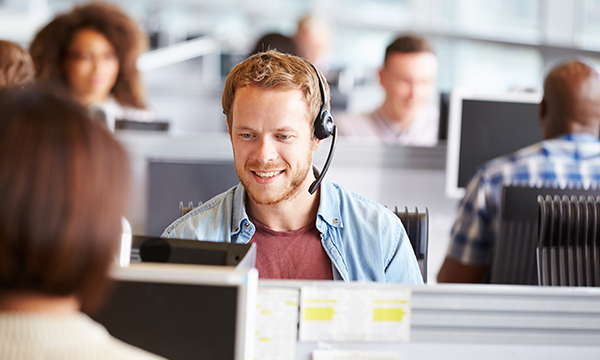 Customer service agents are regularly reminded to smile before a phone call as this is reflected in their voice, but it has shown to help live chat agents too. Agents who smile before chatting to customers will typically reflect their bright attitude into the words they use and how they respond to the customer. Photographs of agents can help to build trust and rapport. A brightly-lit forward-facing picture of an agent will give the impression of someone who is engaged in the conversation and wants to help. A photograph where the person is looking to the side or disinterested may lead the customer to have a negative impression. While you may believe capitalising every letter in a word makes it clear, it can come across as shouting to a customer. No customer wants to be shouted at. Occasionally, agents might accidentally hit the CAPS LOCK key while typing. This is why it is essential for agents to take a moment to read the message before sending to prevent an unprofessional tone or typing mistake. As mentioned earlier, live chat is customer’s favourite communication tool with a high satisfaction rating. If you offer live support, it is service your customers will want to know about so make sure to promote your offering. An email newsletter can be a great way to advertise live chat and show your business commitment to continually improving customer service. Live chat is not just for customer complaints; it can be used throughout the whole sales cycle to attract, engage and convert prospects into customers. In fact, research conducted by the Aberdeen Group found that web chat can be effective throughout the different stages of the sales cycle. For marketing, the Aberdeen Group noticed that live chat usage peaks with awareness at 29% and conversion at 39%. During sales, they found direct engagement through live chat at 32% for customers while mid-stage sales had 24% usage. Closing the deal had 18% engagement while post-sales had 39% engagement. The data shows that utilising live chat effectively throughout the whole sales process can considerably improve sales and conversion, all of which contribute to the growth of your business. If you utilise a survey function at the end of a chat, make sure that you analyse the data you receive and act on it. This customer insight is invaluable in improving your organisation. Furthermore, if a customer complains about their experience and this is repeated the next time they use the service, it will add to their frustration. Use the valuable information you receive to change processes and keep improving your service to increase customer satisfaction. Finally, if you need more convincing that live chat software is right for your organisation and arguably a necessary requirement for your live chat support, here are some of the most impressive statistics gathered about the effectiveness of customer service chat. A survey of over 2,000 respondents found that 62% expect live chat software to be available on mobile devices. Furthermore, 82% say that they would use customer service chat on mobile devices. With this in mind, not only does your website need to have a live support function, but live chat needs to be optimised for mobile devices. In the same survey, it was found that 75% of respondents would prefer to use online web chat software rather than calling to speak to a customer service agent. Live chat for customers is expected to grow by 87% in 2018. With more and more people choosing web chat software as their preferred method of communication, it is up to businesses to install live chat software, or they risk being left behind and unable to meet the demands of customers. It is important to realise that customers want quick, simple resolutions that fit in with their schedule rather than take time out of the day to speak to your business. Live chat is essential for increasing sales too. In fact, 35% more people make a purchase after using web chat software. As well as this, business to business (B2B) organisations who use live chat software can see a 20% increase in conversions. This means live chat software becomes a useful customer relationship tool to manage prospects throughout the sales funnel. Ultimately, customers that use live chat are three times more likely to buy from you, so get ready to sell with proactive live chat. Live chat is 50% cheaper than handling phone calls. Predominantly, businesses can make savings through efficiency as, on average, customer service agents are able to handle around three chats simultaneously. This is a dramatic increase in productivity compared to phone calls. Furthermore, further savings can be realised through reduced phone charges and less hardware required. Live chat software can also be incredibly cost-effective while still delivering a significant return on investment. 63% of consumers are more likely to return to a website that offers live chat. With web chat software, you are able to strike up conversations with customers throughout the sales cycle ensuring that you have engagement at every step. With 63% of consumers willing to return to your website means you have more engaged prospects and potential brand ambassadors which you can utilise for marketing tactics. The Aberdeen Group found that companies that use live chat software compared to ones that don’t have 2.4 times greater increase in upsell revenue. Furthermore, research has found that the customers who use web chat software are worth 4.5 times as much as customers who do not chat. This means that getting your customers to engage in conversation through proactive chat could significantly increase customer value. 90% of customers think live chat gives them confidence that they can receive help if they need it. So while customers may not use live chat, although research shows a vast majority will, the fact that you offer live support is considered a comfort to customers that could give them the confidence to do business with your organisation. For e-commerce, consumers believe that chat for website is one of the most important features that your website can offer. In fact, 44% of online shoppers think that having buying queries answered by a live person through live chat software is one of the most important features a website can offer. If you consider the additional revenue that it can bring and the importance for customer satisfaction, it may even be a wise business decision to employ specific personnel for the role of a live chat agent. This guide has already shown that live chat software is the preferred method of customer communication, but why do consumers like web chat software so much? 79% like live chat as they can receive immediate answers while 29% believe they receive better information than if they emailed. 51% of consumers like live chat because it enables them to multitask and, in a similar vein, 21% prefer live chat as they can use it while they are at work. 77% of consumers say they will not make a purchase if there is no live chat support option. If your business doesn’t have a chat box for website, then there may have been many sales that you have missed because your site and company did not live up to customer demands. Ensure you never lose another sales opportunity by installing a live chat program on your website. If you would like to speak to a team member about implementing live chat for your organisation call 01268 524628 or email theteam@click4assistance.co.uk.